Trongsa Dzong is constructed on a ridge that gives the view of the gorge of the Mangde River and is the largest dzong fortress located in Bhutan. The dzong houses the headquarters of the government of Trongsa district. There are around 200 monks in the monastic complex of the Dzong. The dzong contains total 25 temples among which the main temples are dedicated to the Tantric deities, The Maitreya, Cakrasamvara and Kalacakra and there is a maze of courtyards. 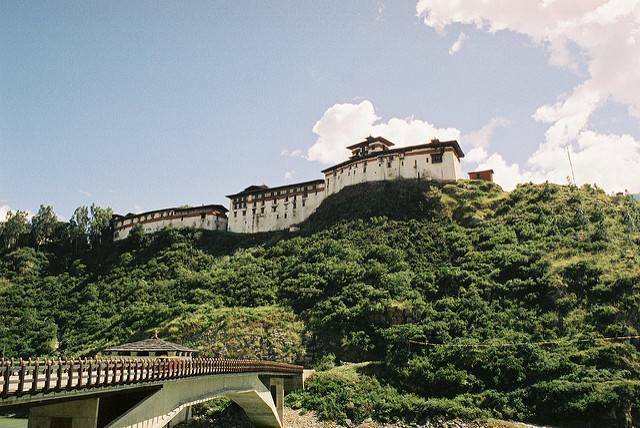 There is also a watch-tower which located to the eastern part of the Dzong. During the month of December or January, the Dzong celebrates a five day festival named Trongsa Tsechu to mark the arrival of Guru Rinpoche in Bhutan in the 8th Century.The dzong is listed as a tentative site in Bhutan’s Tentative List for UNESCO inclusion. A museum constructed in the complex in the year 2008.